Well, yes, I do. Although I’m a fairly sociable person, I’ve always loved solitude and silence. I don’t get bored or antsy when I’m alone, and I never notice the absence of sound, except perhaps to think, “Ah, now isn’t that nice?” Like my father used to do, I’m usually singing to myself anyway — and if I’m not, my thoughts are noisy enough as they are. Now that I’m a parent, and a pretty new one at that, I’ve of course discovered that moments of complete silence — much less whole days — are hard to come by. That’s why I was naturally drawn to Deborah Underwood’s The Quiet Book, and why I keep coming back to it even though my boys are still too young to enjoy it. It calls to me over and over — ever so quietly — from its spot on the bookshelf, and as the twins gleefully bang toys against the wall, I’m compelled to slip through its pages, enjoying the moment of peace within. and can most definitely help you fall asleep. 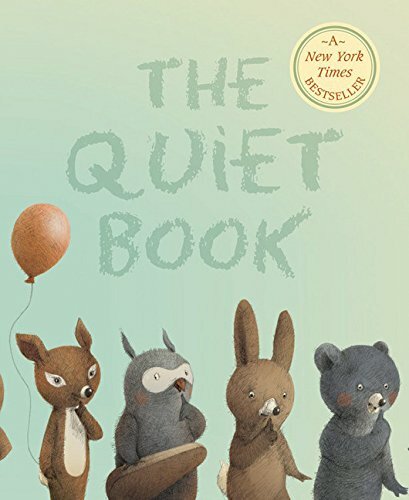 Why I Like This Book: The Quiet Book is exactly what the title says — a sweet, quiet book perfect for a whispered bedtime lullaby or any time the kids need to take it down a notch. While not a traditional story, per se, the simple text works so cleverly with Liwska’s warm illustrations that by the end you realize Underwood has taken you on a subtle journey through a child’s day, telling little stories along the way and giving kids plenty of details to discover. The book is comforting, funny, adorable, witty, and charming, and sets the imagination on a quest to explore your own favorite kinds of quiet. Perfect Picture Book Fridays is a shared weekly event started by children’s author Susanna Leonard Hill. You can find the entire list of recommended picture books on the Perfect Picture Books page on her blog. 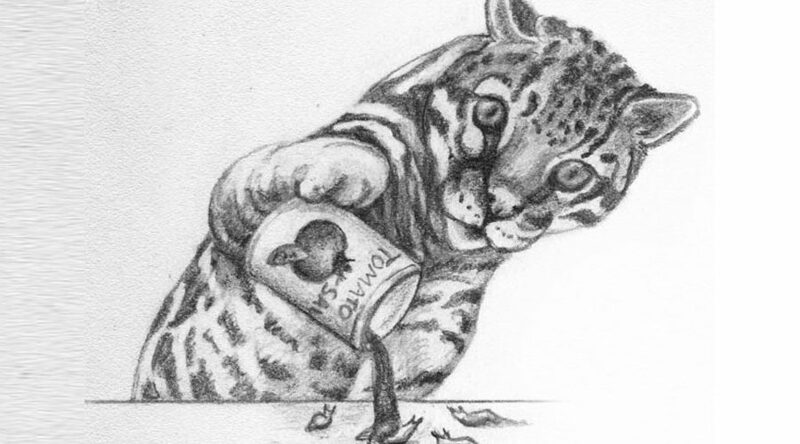 Poetry Monday: "If I Were an Ocelot"
I would love to get my hands on this one, Renée, I keep seeing it praised. Lovely choice. The book cover is already so peaceful! Oh yes, this is a true delight. I browse through it quite a lot! What a great choice for your first post and first PPB, Renee! Your blog looks absolutely beautiful – the banner at the top is simply gorgeous! 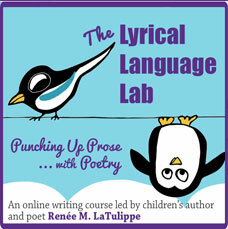 I can’t wait to learn from you about poetry for kids, and I’m so glad you’re joining in with PPBFs! Welcome, and thanks for this terrific addition to our list! Thank you so much, Susanna! My brother did the banner – I just love his work, and that’s an objective opinion! And I’m going to have so much fun with Perfect Picture Book Fridays! BTW, I didn’t see you in the giveaway, so please be sure to click on one of the button and enter! Mmmm, I love silence. I know I’d love this book. As an only child, I spent a great deal of time in silence, and it is such a restorative thing for me. What a great choice for a “just right” book. Sometimes kids just need to bring it down a notch, and this sounds like the perfect book to do that. Great website and how fun that we are both debut PPBF’s today! I’m up for quiet books too. I’ve wanted to find a quiet book craft and well, here it is. Thank you. This is lovely, a “perfect” bedtime story. I love the quiet to. Saturdays are my time and often I am up in the wee hours of the morning as it is the best time for writing, so quiet… perfect! Love your blog and the banner Renee. My class of 6 year olds is the opposite of quiet. Maybe I should read it to them! Ha ha. Thanks for sharing.